Instead of going for a fall leaves look this time, I've opted for a monochromatic look with four greens inside a frame. Simple, but effective. 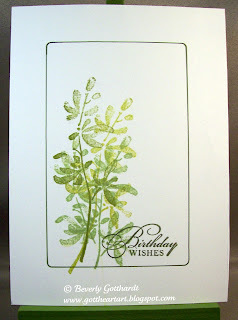 Supplies: White card blank 4" X 5 1/2", Papers: Stampin Up-Whisper White, Stamps: Stampin Up-Watercolor Trio, Ink: Stampin Up-Always Artichoke, Old Olive, Kiwi Kiss, Pear Pizzazz, Always Artichoke marker, Fiskars shape cutter template-Rectangles-1. Love this look. Great stamps. 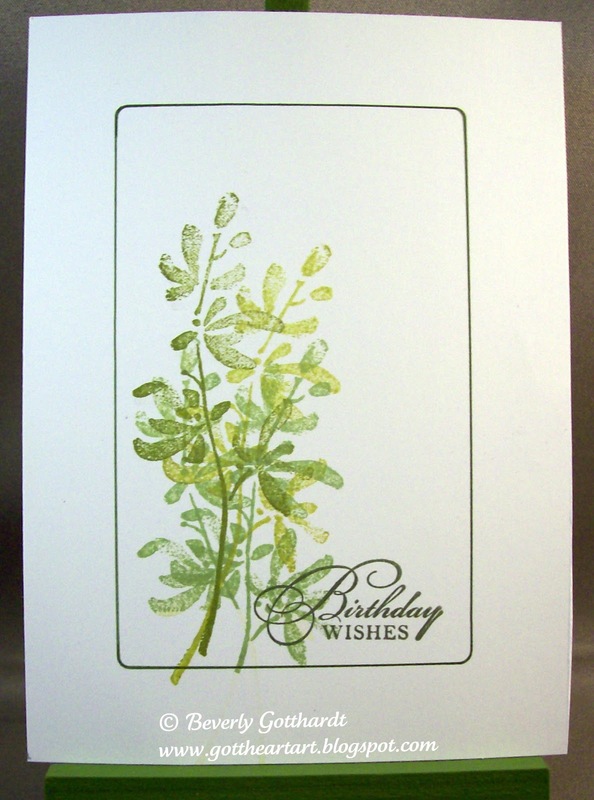 A beautiful and elegant card Beverly - love the image and the shades of green - stunning! Love it! So sophisticated looking!